Only sufficient data will be sought and retained to administer the Reading University Caving Club (“RUCC”) and communicate with its members. RUCC holds and uses your data on the basis of legitimate interests. a) The distribution of club communications via our mailing list, Facebook group, newsletters, RUSU page, letters, and other similar means. b) Provision by RUCC to the British Caving Association (BCA) for their membership and administrative purposes. The BCA privacy notice sets out how RUCC member data will be used by the BCA. c) General club administration; e.g. collecting annual subscriptions. d) To administer bookings for members to stay at accommodation (for example caving huts managed by other clubs) and to visit other venues. e) Organising club trips and other events – including transportation arrangements – and to provide a means of contact in an emergency. Your data will not be supplied to others or used for any other purposes without express consent of the member. Data is held by the Secretary in a spreadsheet on the club Google Drive, within a database behind the RUSU website, and within systems designed for communication purposes such as the club mailing list and Facebook group, and is shared with other Officers only to the extent required to fulfil their role. Only Club Officers as defined under clause 6.1 of the constitution (including any additional officers elected at the preceding AGM), RUSU personnel, and the web hosting companies contracted by The Committee may access the membership data. You will be asked annually to check your details such as your i) address, ii) email, iii) mobile and/or iv) home number are correct, and to re-consent to data processing. Please contact the Secretary if you wish to amend your details. Your data may be provided to designated trip leader(s) and other people involved with the organisation of club trip(s) and other club event(s), to facilitate trip/event organisation and provide a means of contact in an emergency. RUCC is also required to pass members details to the BCA as a condition of registration for their Public Liability Insurance scheme. Information we supply includes member names, postal addresses, year of birth, and in some cases a list of caving trips members took part in. If you do not want the Secretary to share your membership data with the BCA, then you must arrange your own insurance directly with the BCA. 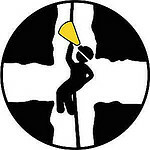 RUCC requires all members to have membership of the British Caving Association for public liability reasons. You cannot be a member of RUCC without BCA insurance. Individuals have the right to object to processing based on legitimate interests. You may exercise this right at any time by writing to the RUCC Secretary to resign your membership. The Secretary will acknowledge this in writing, and remove your details from the club membership database(s), and in subsequent years the member will not be insured via the BCA. The letter will also request that the member cancel any recurring payments set up via RUSU for paying membership subscriptions. The club is unable to cancel recurring payments and cannot refund you as your contact details have been deleted! For this reason, a member’s data will finally be destroyed by October of the year following their resignation. Where a member has resigned under the right to object they can rejoin the club at a later date, and will be asked at that time to consent to the processing of their personal data as described above.